Venus Direct in LEO is the best true love opportunity for years! Pay attention to this true love story: Venus turns direct in Leo this weekend, which won't happen again until Sept. 3, 2023. Why is this so significant? Because this is the most potent planetary placement of all to help you build a loving relationship that will last! 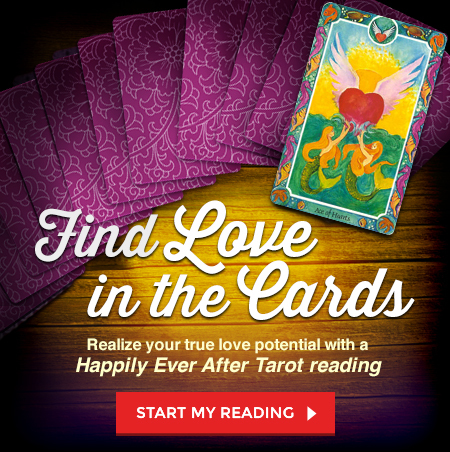 The Happily Ever After Tarot reading is the best tool to use when you want to write the next page in your own love story. This exclusive spread by Tarot scholar Isha Lerner combines the romance and magic of fairy tales with real-life relationship insights. Your reading explores the past, present, and future of your love's path, helping you understand all the complexities of your heart and your relationship patterns in pure and simple terms. Remember, Venus Direct in Leo is the greatest opportunity you'll have for years to create lasting love! But this potent energy won't last long, so get your Happily Ever After Tarot reading now. You can even get this romantic reading for free with TrialPay partner offer.